When deciding what curriculum to use for the kids, I try to take into account what their interests and learning styles. For example, my oldest craves science…LOL! When deciding a science curriculum for him, I have to make sure he is receiving enough to peek his interests. If he had his way, we would do nothing but science books and science projects. Well, with having three boys, all different levels, I just don’t have the time to do science projects as much as he would like. So there I sat. What to do? A few weeks before starting our school year, I was asked to be on the Alpha & Omega review team. 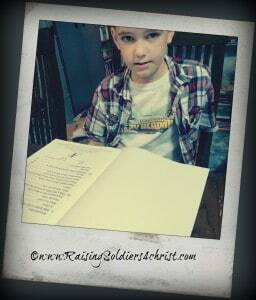 As a member of the review team, Alpha Omega Publications allowed me to pick the curriculum that I wanted to try. I poured over the many options presented to me. I was like a little girl in the candy store! LOL! I have used products from Alpha Omega to supplement my curriculum in the past, so I knew I could trust them as a company. In fact, one of our favorite Math curriculum in the early years is HORIZONS® Math. All of my boys have learned their basic math skills using this amazing product! 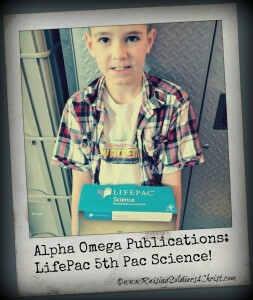 During my research, I kept going back to LifePac 5th grade science! I really liked what I was reading! Some of the advantages to LifePac Science is that it is compiled of several workbooks or units. This allows the child to finish one and get a feel of satisfaction before starting another one. They are also very easy for a child to work independently, which gives the child who need/wants extra work to work at his/her own pace. This also frees up mom’s time to help her other children, prepare lesson plans, grade papers, or whatever mom needs to do. I, personally, like being involved in anything the kids are learning. I don’t just hand it to him and say “go to town,” even though he is 10 and can do it alone. I read over his lessons and we talk about them. I also like how this program is laid out. Initially, I thought the units were small. However, it is a complete Science program for the entire school year. It has projects and lists of items needed for the projects, it has vocabulary, lessons, and also questions to make sure the child understand what they have read. 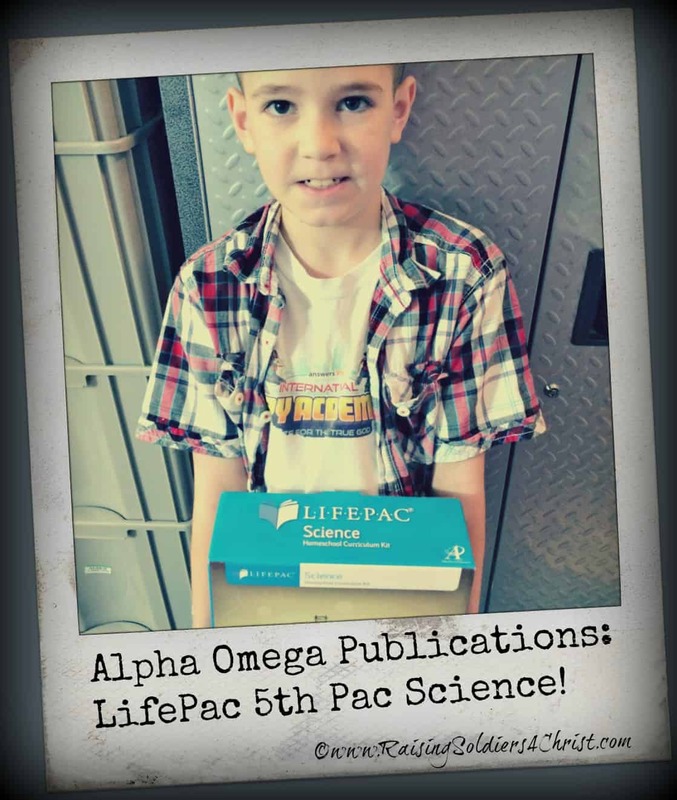 Because of LifePac I am able to continue teaching the science I had planned this year for all three boys, plus give my oldest one of his desires—extra science!!!! 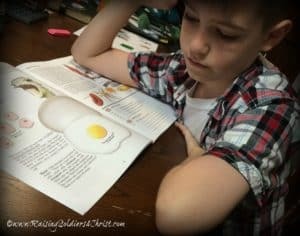 We’re using the 9th grade science for our first year of homeschool. I liked it so much when I was writing our lesson plans that I also bought history and eventually replaced our math curriculum with LifePac as well. LifePac does seem to require parental manipulation of lessons (except math, which has ample practice), but being able to customize a lesson to the student is the beauty of homeschool. I often omit essays with printed articles, hands-on projects, trips, DVD’s…methods that my student will absorb more from than a cramped hand. I really like that the religious aspects feel natural in our secular setting. I was a little worried about how it would be addressed in Science and History. LifePac did a good job with keeping it comfortable and natural imo. Like you, I’m the kind of teaching parent who prefers to be engaged in lessons rather than trusting an online program. I like to refresh my knowledge and learn with my student. That’s why the LifePac math was a blessing for us. We do use youtube a lot and there have been tantrums on both sides of the table, but it’s inevitable in algebra. Algebra is scary, but LifePac makes it easy for me to teach without always knowing more than how to mimick the first answer on the whiteboard. I wish someone had told me to use LifePac for math before I spent money on other ‘flash in the pan’ sets.